A chic textural mix: Deep midnight-hued cotton and rich hide leather play off each other to create a simple but stunning 20”x12” rectangular accent pillow in fashionable color-block style. Midnight cotton on back of pillow. Inside, a plush down insert. 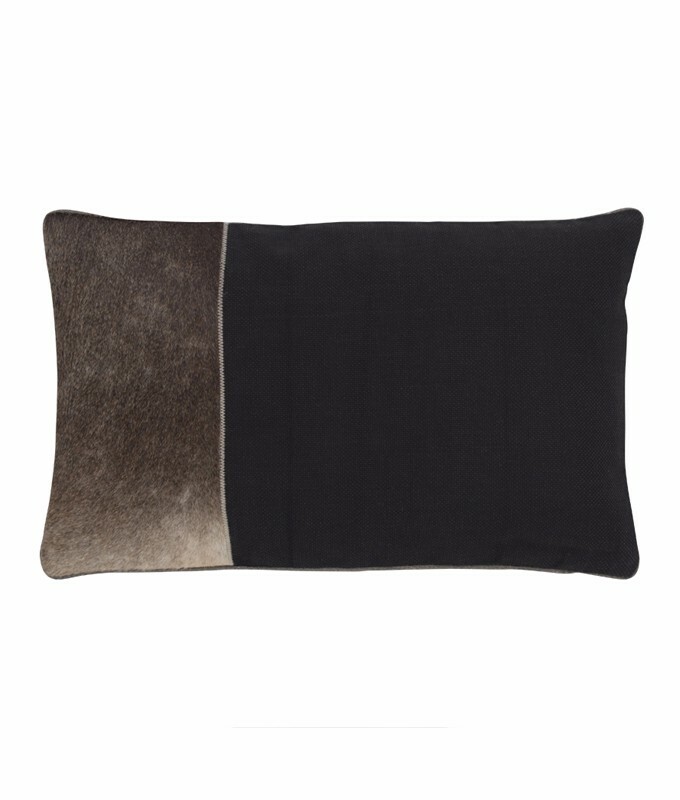 Mitchell Gold + Bob Williams designs an exclusive set of accessory pillows to complement their upholstery line. Fun, classy geometric patterns in brilliant bold colors and rich fabrics will add a pop of color and sophistication to any room!